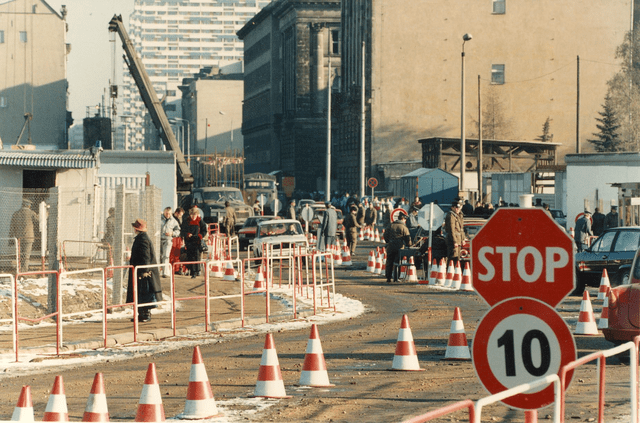 On the 9th November 1989 the first blocks of the Berlin Wall that for decades divided East and West Germany were taking down. The event received unprecedented attention from the media. Television broadcasters from across Europe and the whole world were present to capture the crowds on both sides of the wall celebrating the event. This footage has now become an iconic reference to the moment that marked the beginning of the new era in the European history pages. EUscreen has a unique collection of resources from various European audiovisual archives and public broadcasters that document the event and its aftermath. In this blog, we selected some of the highlights. The iconic footage of people crossing the wall near Brandenburg gate and the ecstatic crowds celebrating the event. 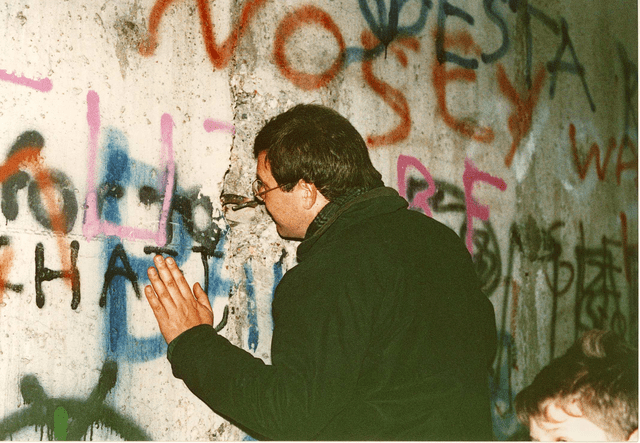 Interviews with Berliners who are allowed to meet again for the first time after the fall of the wall. East Berliners enjoy the new opportunities to stock up on Western goods. The programme looks into the new democratic era in the recently united country and the changes it brought into the lives of German citizens. 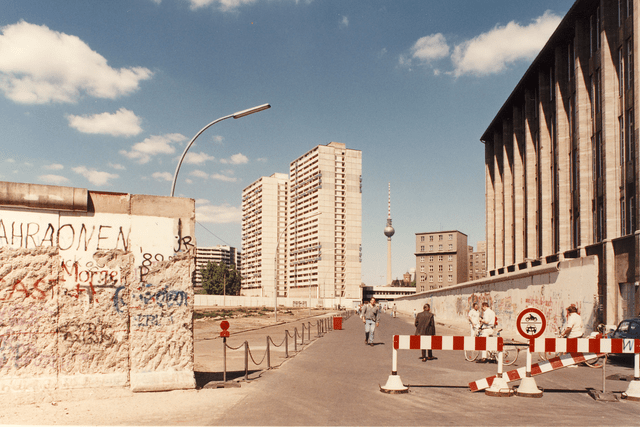 Though the physical wall did not exist anymore, signs of division were still present in Post-Cold War Germany. A look at the graffiti art that was destroyed with the deconstruction of the wall. 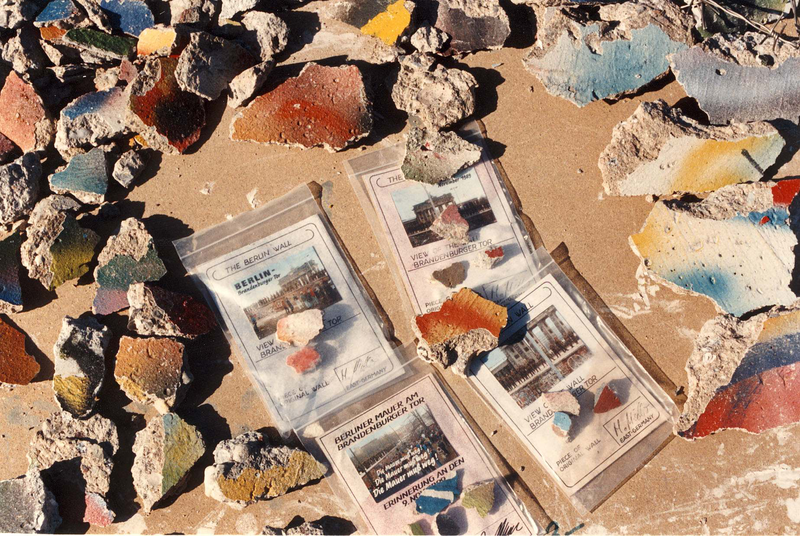 Apart from audiovisual records, we also hold written sources that document the fall of the Berlin Wall and its aftermath. You can find them here. These are just a few highlights from the EUscreen collection. Explore our catalogue to discover more audiovisual resources from European audiovisual archives and public broadcasters!